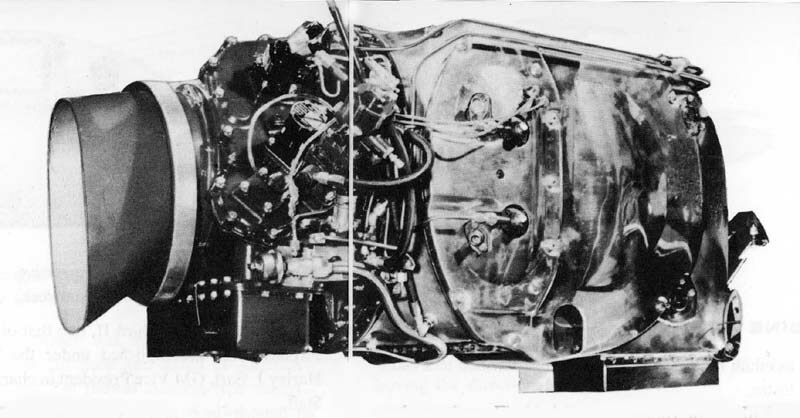 In the 1950s most piston engine for aircraft was gradually replaced by gas turbine. 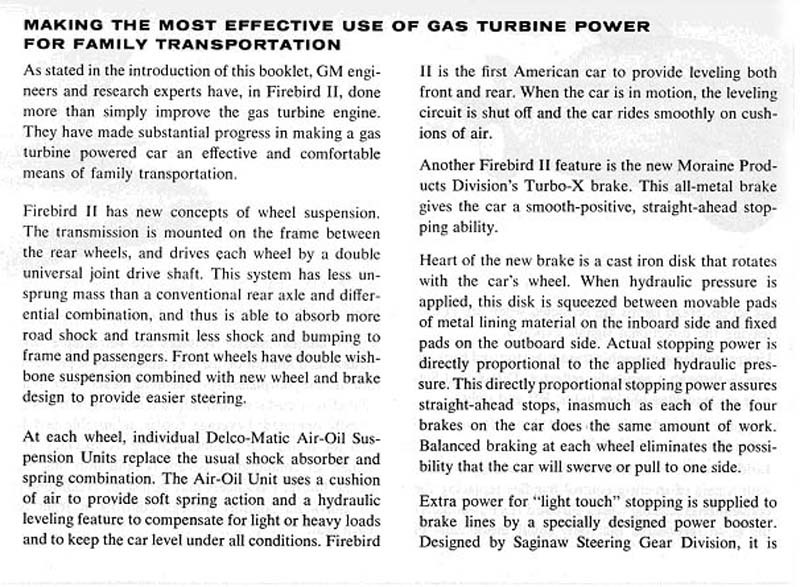 Similarly, several major car manufacturers were considering gas turbine would be widely used for passenger cars and trucks. 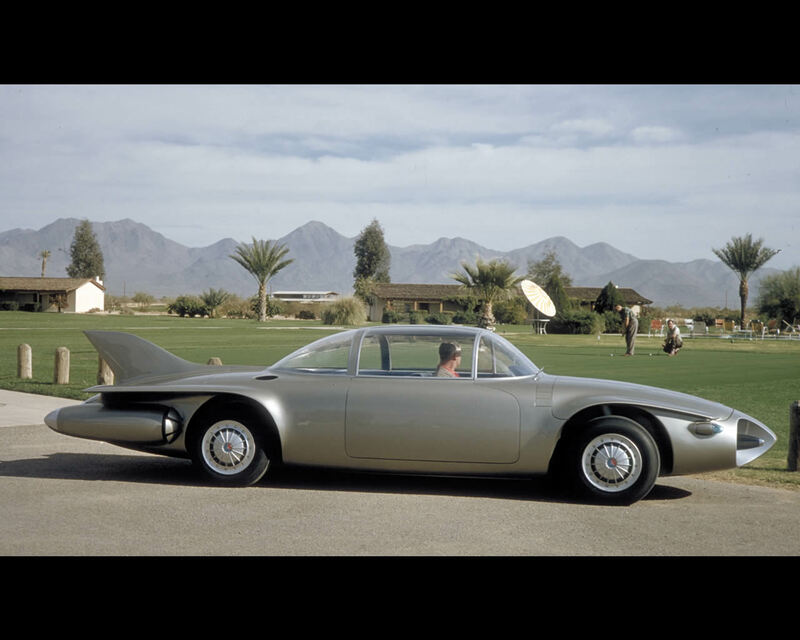 This was particularly the case of car manufacturers with a division producing gas turbine as was the case for General Motors, Ford, Chrysler, Fiat or Rover. 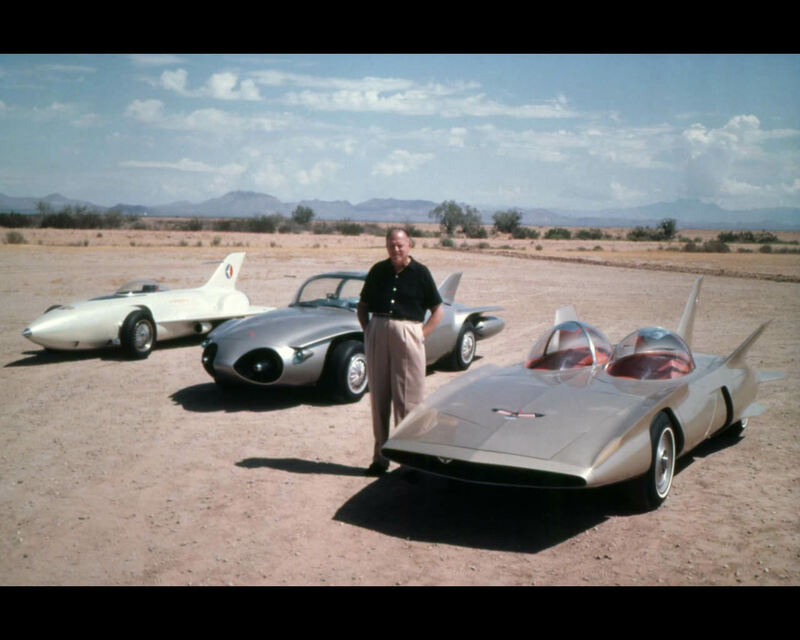 These companies entered research and development programs for the implementation of gas turbine in automobile and trucks. 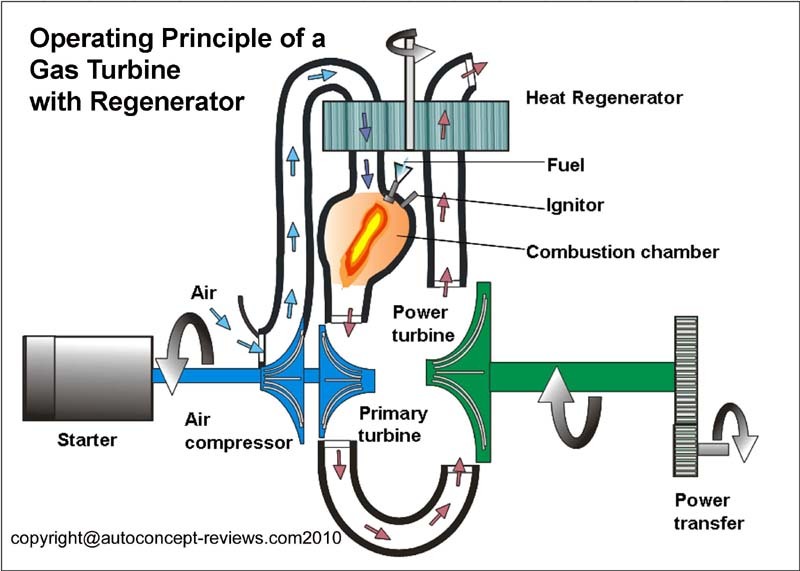 The gas turbine operating process can be explained as follows: We have pure air boosted to a high pressure by some type of rotary compressor. 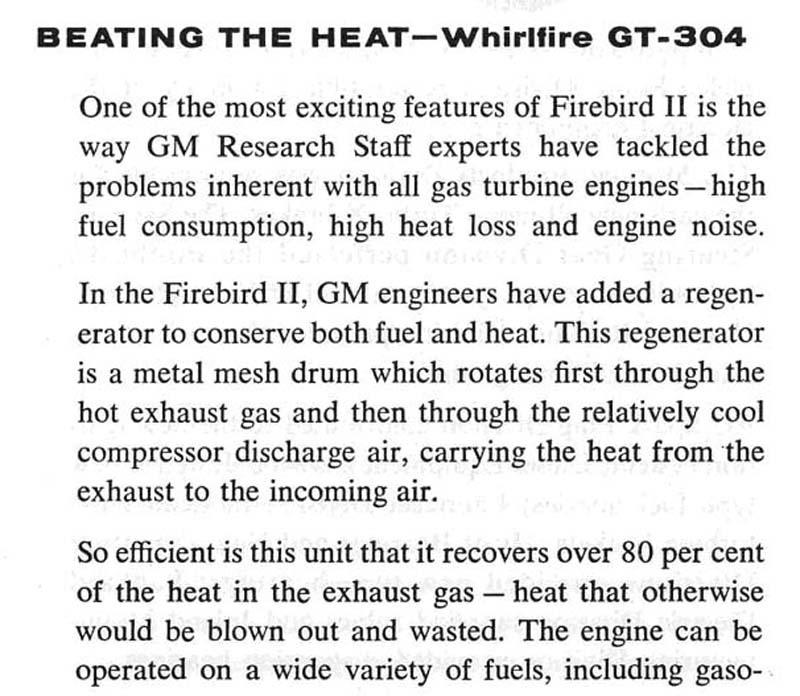 Liquid fuel is sprayed into the hot compressed air and ignited in a combustion chamber. 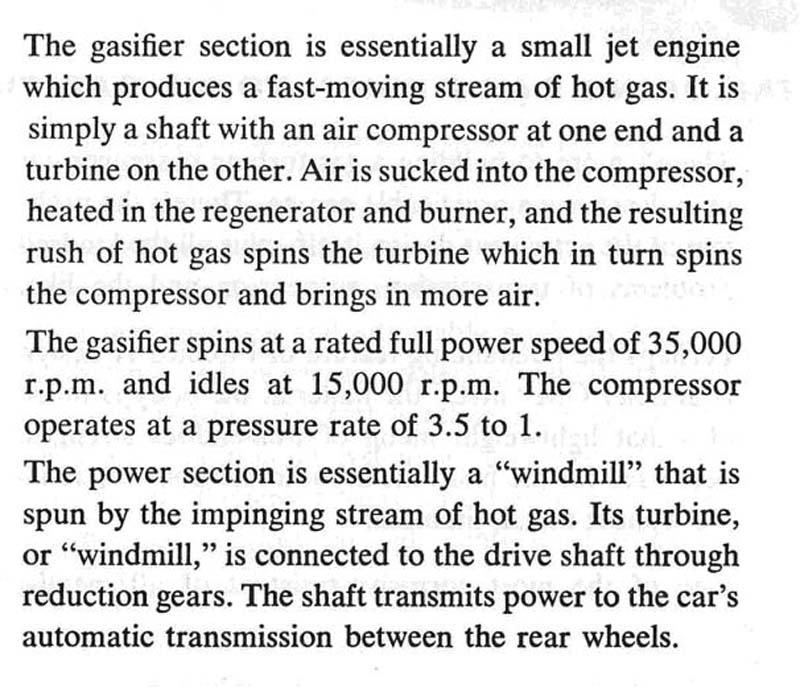 From here the hot combustion gases go through two turbine wheels. 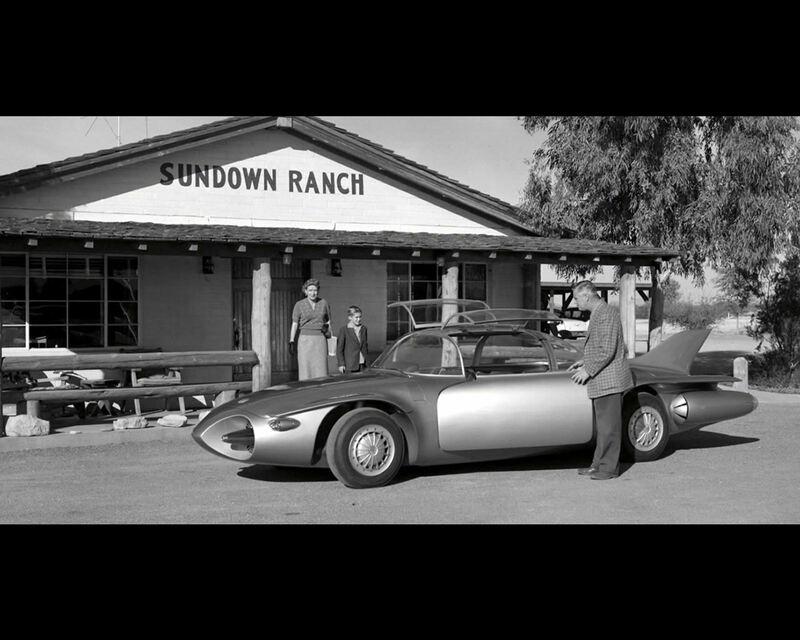 The first one drives the compressor. 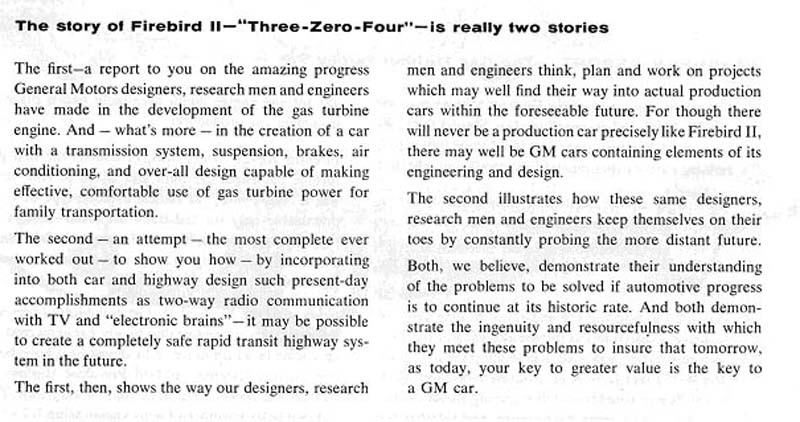 The second one, running on a separate shaft, drives through a reduction gear to the propelled wheels. For better efficiency, the hot gases are routed through some type of regenerator or heat exchanger. 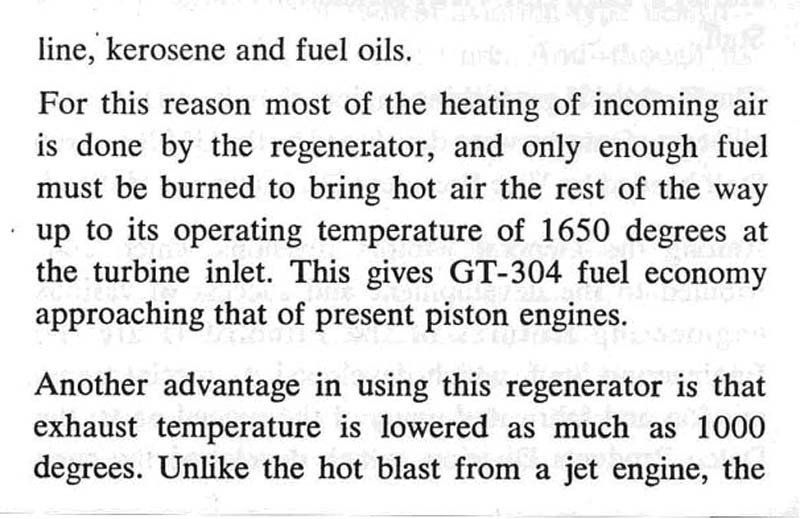 This operation allows the transfer of some heat up to the intake air after it goes through the compressor. 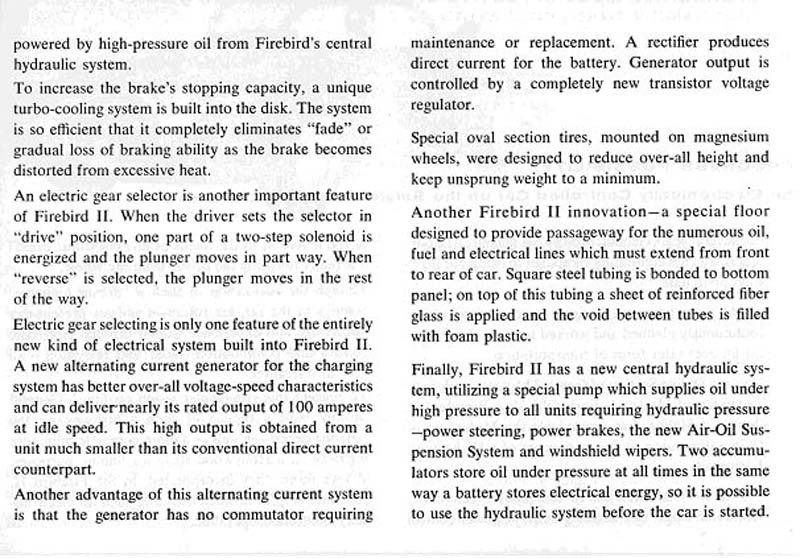 There are only rotating parts so that there are no vibration and limited maintenance. 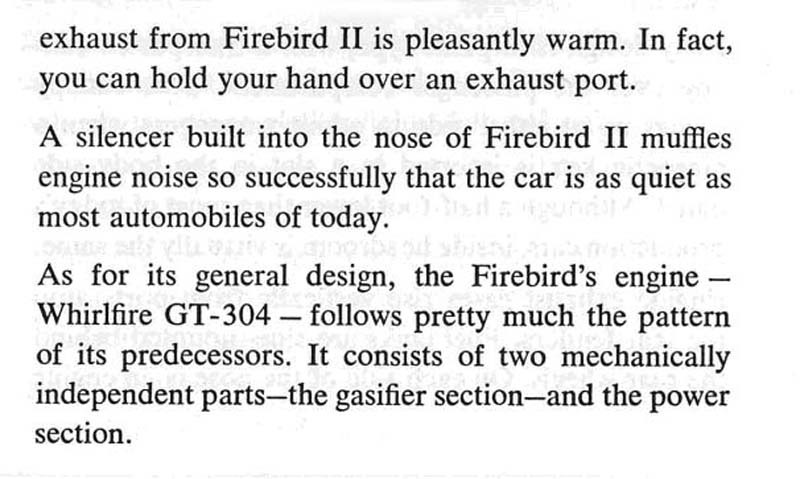 The combustion process is continuous but eventually difficult to adjust to the changing operating conditions of an automobile or a truck. 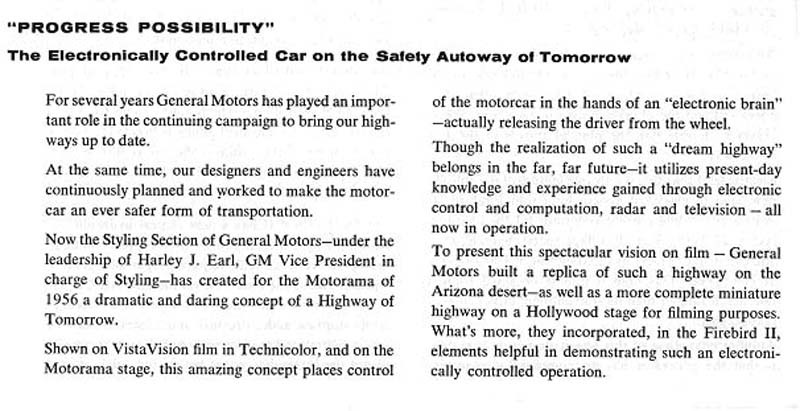 Changing operating conditions made it difficult to control pollution and meet ever more stringent restrictions. 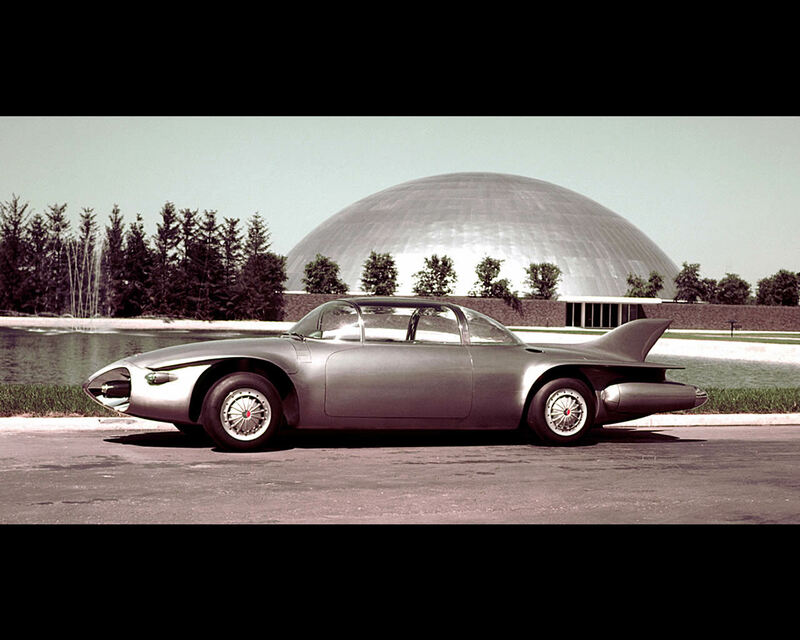 Several companies illustrated and tested there gas turbine solutions in prototypes and research vehicles prepared also as show car for demonstrating to the public. 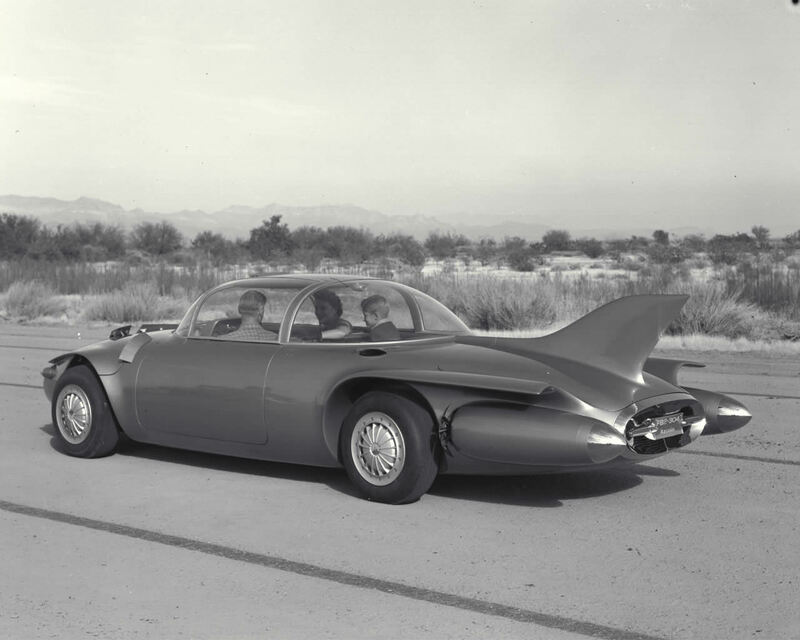 In 1950 Rover presented the Rover Jet 1 prototype that was also employed to challenge speed records. 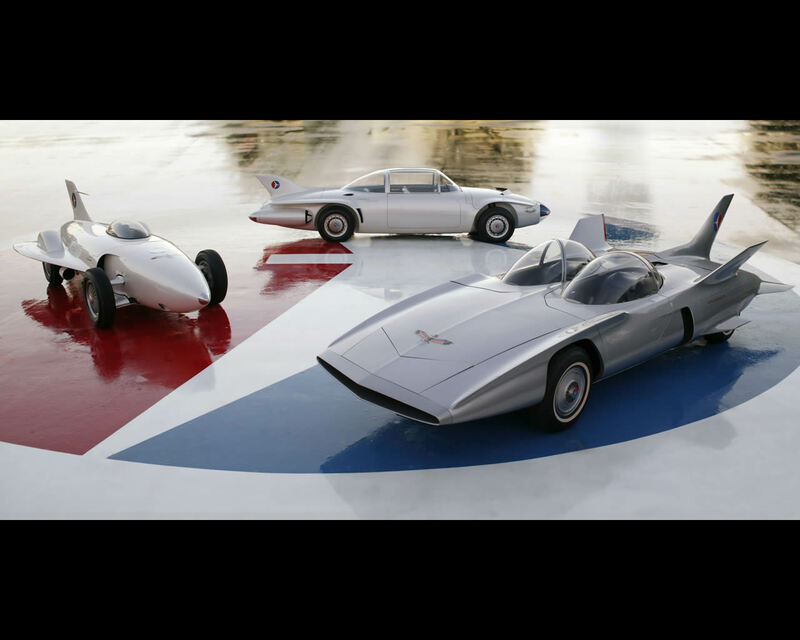 General Motors started in 1952 with the Firebird I that was a single seat rocket shape research prototype. 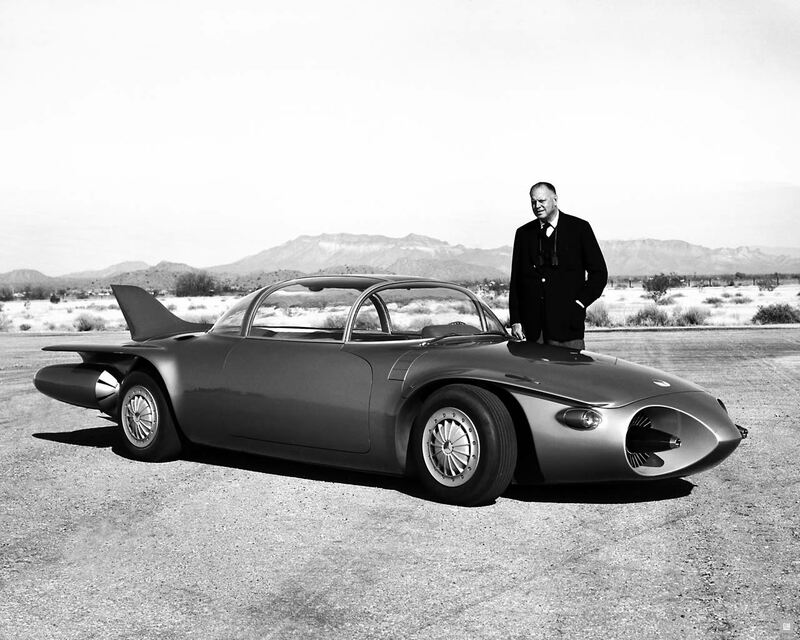 In 1956 Fiat developed the Fiat Turbina prototype based on the chassis of the Fiat 8V. 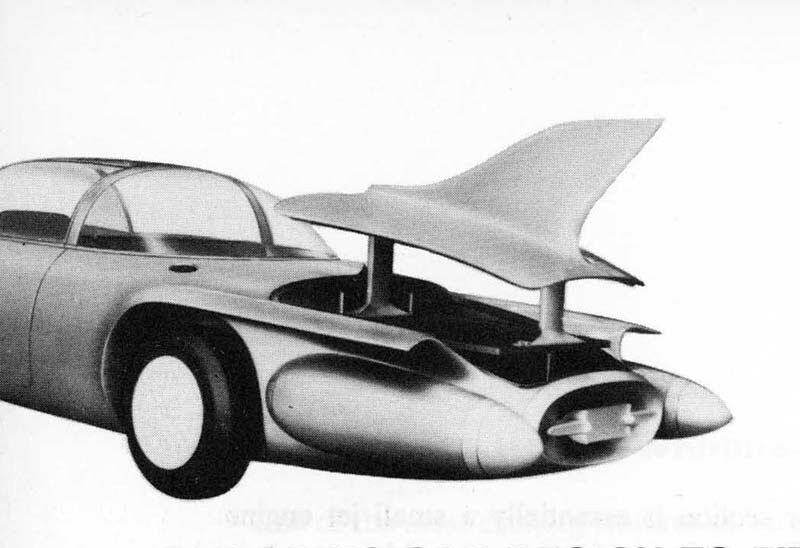 In 1956 Renault completed the Renault Etoile Filante in collaboration with Turbomeca turbine manufacturer and the car was involved in speed record challenge. 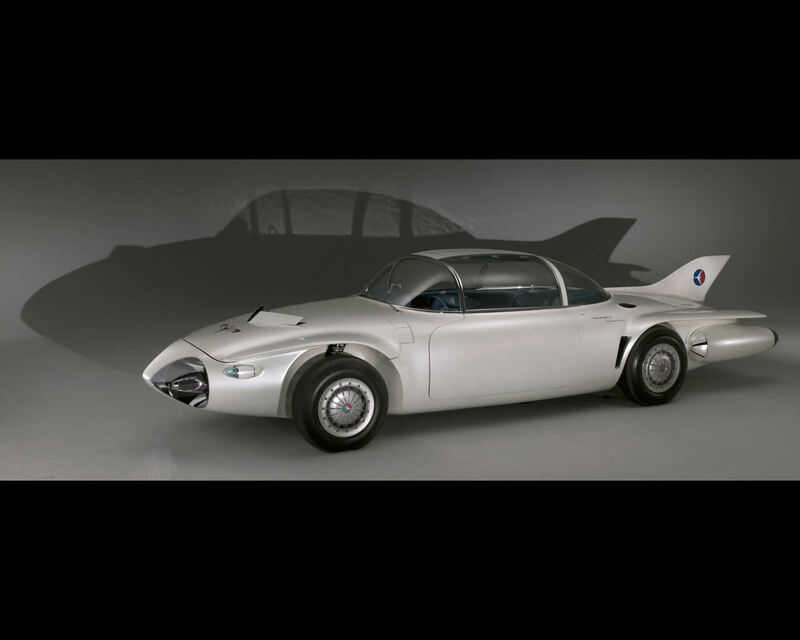 Also in 1956 General Motors introduced a passenger car prototype propelled by an improved gas turbine, it was the Firebird II. 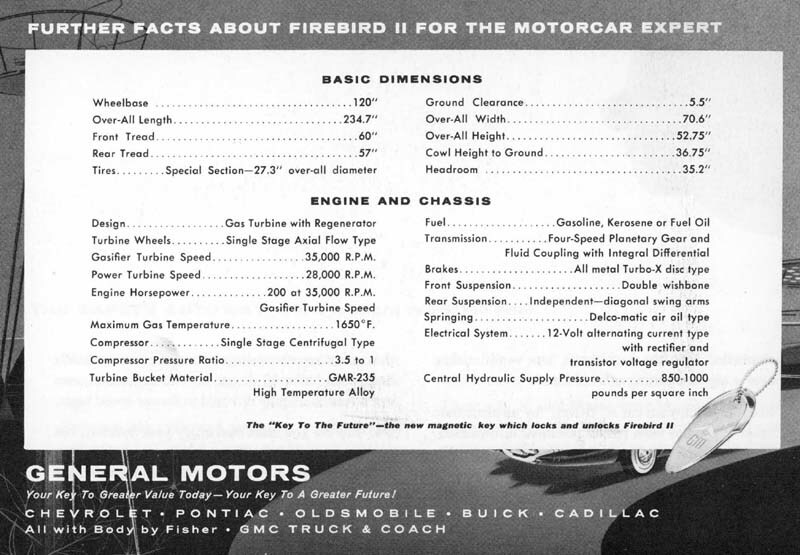 We are presenting here the content of the brochure distributed in 1956 at the exhibit of the Firebird II .